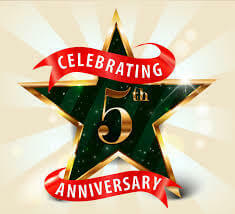 Essential Systems Solutions (Essential), celebrates its 5 year anniversary as an industry leader in Point of Sale restaurant & retail technology and professional services. Essential was founded on December 5, 2011 by President Jason Thompson and VP, Customer Relations Michael L. Tash. The co-founders noticed that the changes in the POS industry created a need for trusted technology advisors for small business owners and not just a POS sales team. Clients found that partnering with Essential Systems Solutions meant they were getting a team of POS industry experts that provided innovative solutions and an easy way to reduce costs, experience savings and increase revenue. In anticipation of hitting this business milestone, Essential unveiled a new corporate Website and Blog (https://www.esspos.com, blog.esspos.com) in June of this year that reflects the company’s future strategic direction, mission, and goals. Essential will also be executing several promotional and informational initiatives throughout this month in support of the fifth anniversary. Founded in 2011, Essential Systems Solutions is a single-source technology provider of traditional, mobile, and cloud-based Point of Sale solutions for restaurants, hospitality, and retail establishments throughout the United States. Essential also offers a vast selection of hardware equipment to meet a wide variety of business needs. Known for outstanding and professional service, Essential’s expert technicians are available to fix any kind of POS equipment. For more information about Essential Systems Solutions call 301-732-5000 or visit https://www.esspos.com. Follow @ESSisEssential on Twitter. This entry was posted in Articles, Essential Information, Insider, Press Release on December 8, 2016 by WP Dude.